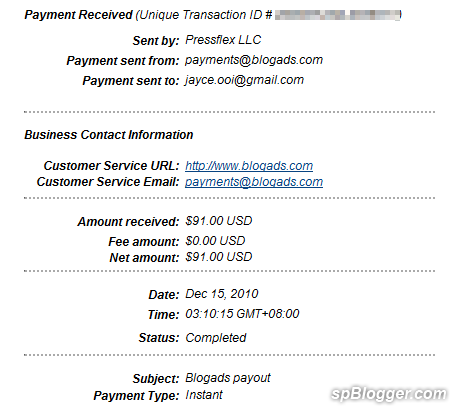 Haha… I forgot to post about my 2nd Blogads payment when I want to post the latest Blogads payment that I received today. All the payments are from the same advertiser, Crucial. And I got a new advertiser, Spexclub which will run for 1 week at JayceOoi.com now. How is your Blogads earning? Getting better? Next articleGoogle AdSense Medium Rectangle vs. Large Rectangle ~ Which one is better?